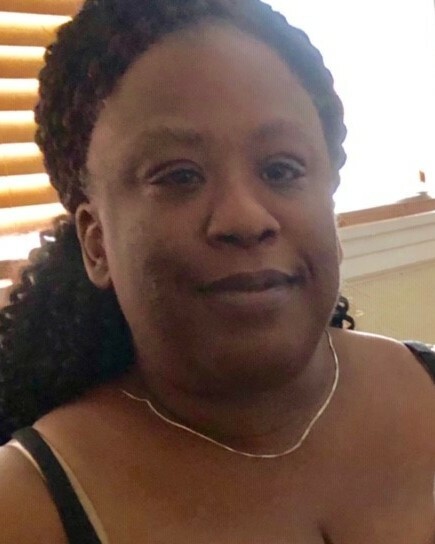 Wenda Exavier age 43 of Stratford passed away Tuesday, March 12, 2019. She was the beloved daughter of Wiseman Xavier and the late Margalie Alcide. She is survived by her father, Wiseman and his wife Yeyene, loving sisters and brothers; Kearlyn Exavier, Iveline Auguste, Gregory Exavier; Schneider, Johnny, and Felisha Xavier; Nathalie Auguste and Steven Blanc, Courtney Allen and Levince, Aicha, Myriam and Crystal Dorvil; nieces and nephews Carolyn, Ivene and Margalie Exavier, Dametreuss Francois, Nyasia Moody and Elisha Brown; aunts, uncles, cousins and countless others.Wenda had an expressive soul with a big heart and a loving spirit. Wenda’s love for her family and friends was like a warm ray of sunshine even during the most challenging of times. Having her in our lives was a pure blessing. Funeral services will be held Thursday 9:00 -11:00 am in City Wide Church, 857 Howard Avenue, Bridgeport, CT 06605. Interment will be at the Rockville Cemetery, 45 Merrick Rd. Lynbrook, NY 11563. Friends may greet her family Wednesday 4-8pm in the Redgate-Hennessy Funeral Home, 4 Gorham Place (corner of Main St and Gorham Place) Trumbull, CT 06611.